When providing athletic training of the highest quality to one million visitors per year, every detail matters. 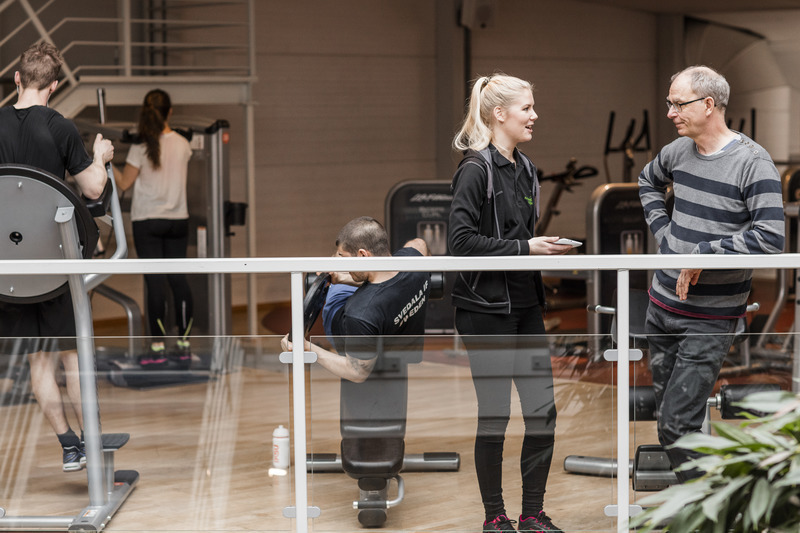 The IKSU sports facility in Umeå is measuring 22,000 square meters, and has everything from gyms and pools to climbing walls and indoor beach volley ball courts. That also means a lot of washrooms. 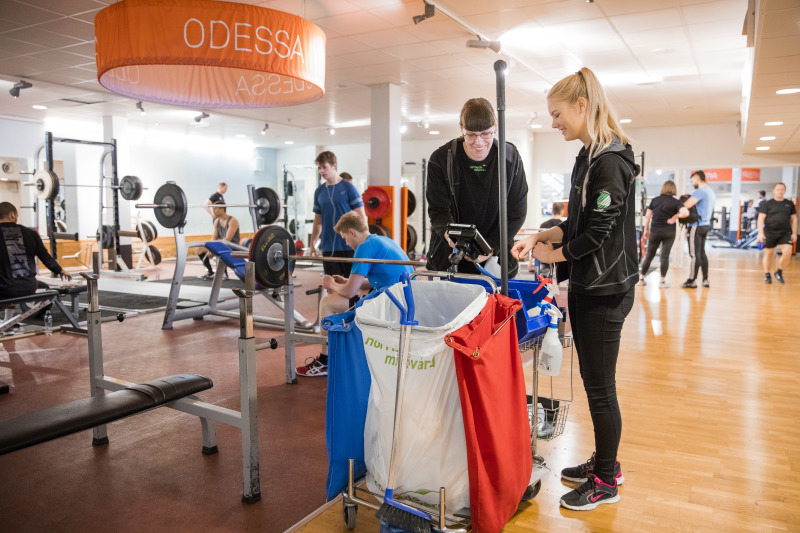 That’s why the largest sports complex in the Nordics chose to make their washrooms intelligent – getting rid of complaints and providing an entirely new logic for cleaning. 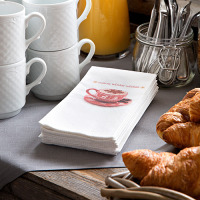 “We continuously analyze customer feedback, and noticed that cleaning came up from time to time as an issue. 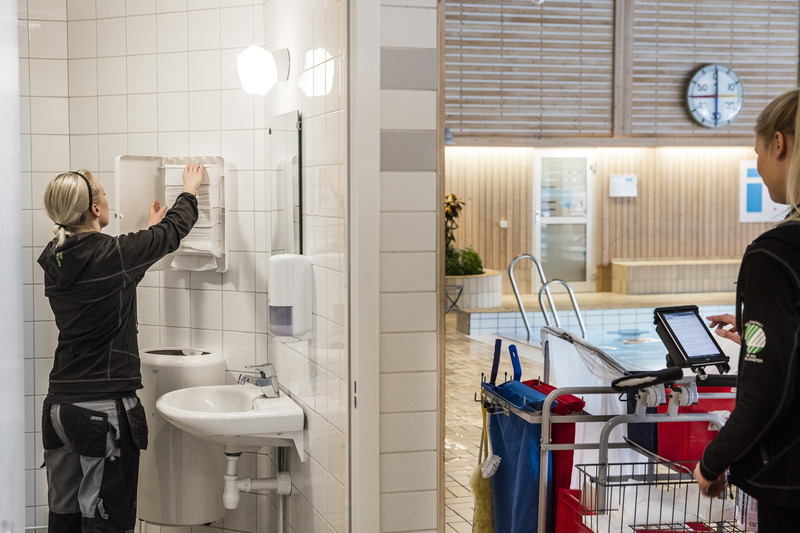 We occasionally had trouble guaranteeing cleaning quality and refilling soap and paper on time, especially in the evenings when visits peak," says Bo Andersson, property manager and head of facility management at IKSU. 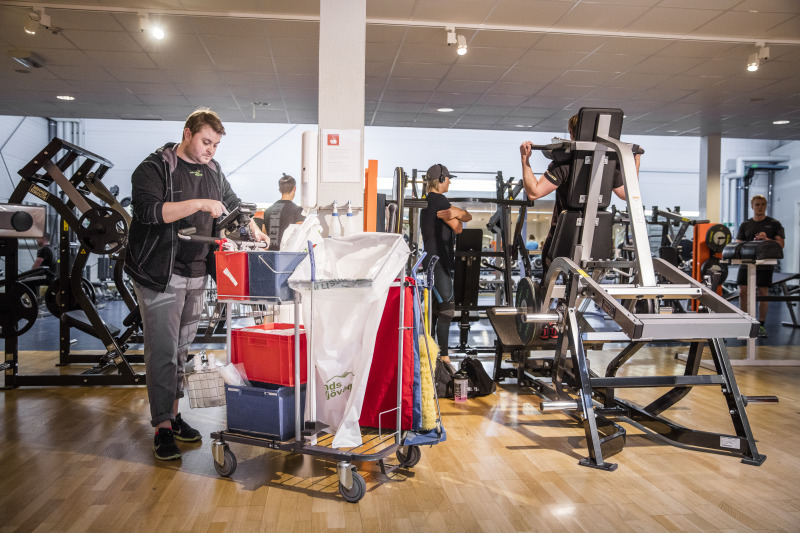 The size of the facilities meant IKSU’s partner Norrlands Miljövård (NMV) was already doing up to 64 hours of cleaning per day. But NMV and IKSU facility management set out together to improve quality even more, and decided to try something new. 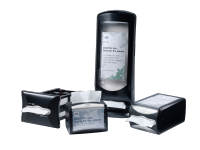 They implemented Tork EasyCube™ – a digital service connecting 300 dispensers throughout the facility. 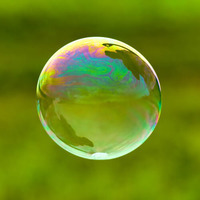 The service provides real-time information about cleaning and refill needs. 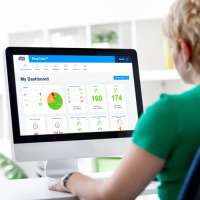 Tork EasyCube™ has given new insights into how visitors actually use the facilities, allowing the cleaning staff to focus on the areas most frequently used. “Before, only one in four dispenser controls actually led to a refill. 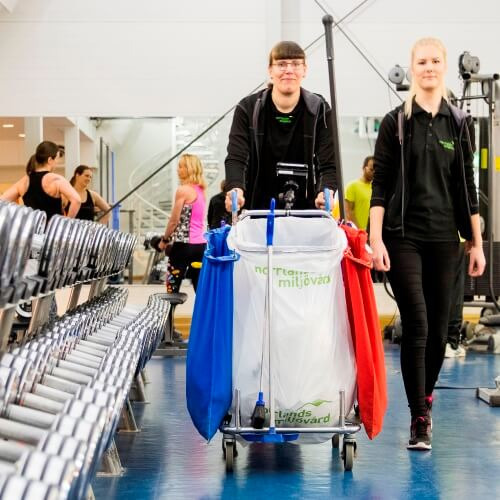 The routine was repetitive, always checking everywhere," says André Söderberg, NMV cleaner at IKSU. At IKSU, the intense evening shifts have changed from static schedules to need-based cleaning. No time wasted also makes it easier to finish tasks on time, handing over facilities in better shape to the next shift. “At a large facility like IKSU you sometimes have to walk up to ten minutes to check a washroom. During an average shift we walk about 10,000 steps. Tork EasyCube™ makes each one of those steps count," says Malin Sjöberg, NMV service leader at IKSU. 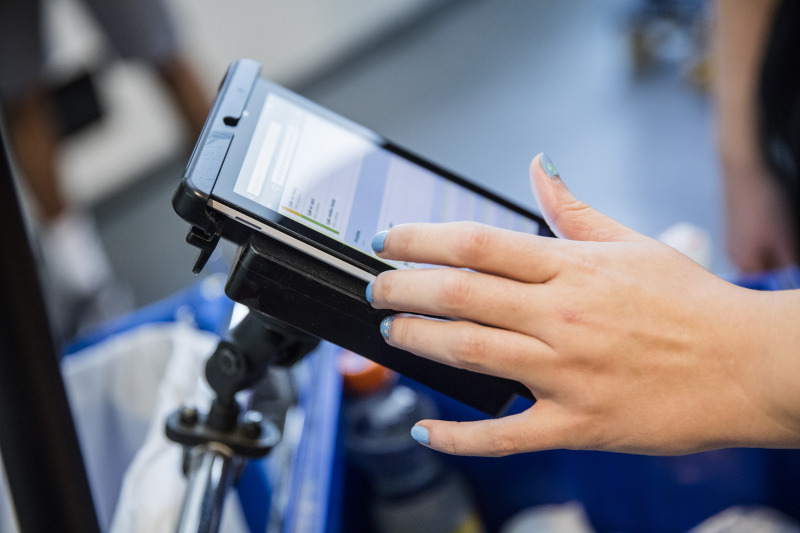 Tork EasyCube™ has led to increased staff motivation – tasks that used to be repetitive and dull feel meaningful when you adapt them in real-time to exactly what is needed. This means cleaners are less stressed while being more effective and doing more cleaning. “When the system is in place it’s hard to imagine work without it. It makes the job much more meaningful and fun. I feel like I have the energy to do more when I know that everything I do matters,” says André Söderberg. Complaints about empty dispensers have been completely eliminated and today customers are happy with the cleaning at IKSU. With insights from the system, the management team has been able to make new decisions with long-term impact on IKSU’s business. “I had underestimated what can be done with this system. 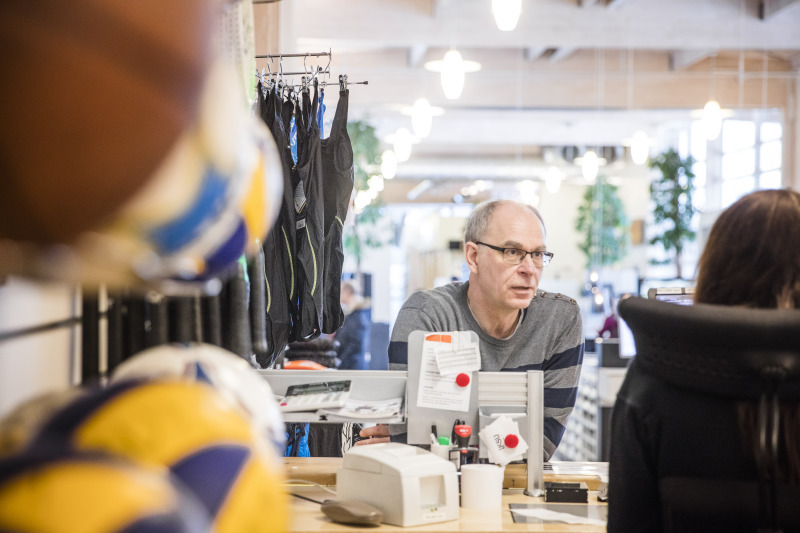 Before, our management team was considering building new changing rooms to solve the cleaning quality problem, which would have cost millions,” says Bo Andersson. Before, only one in four dispenser controls actually led to a refill. The routine was repetitive, always checking everywhere. Now I know exactly what’s needed by just looking at the tablet attached to my cleaning trolley.